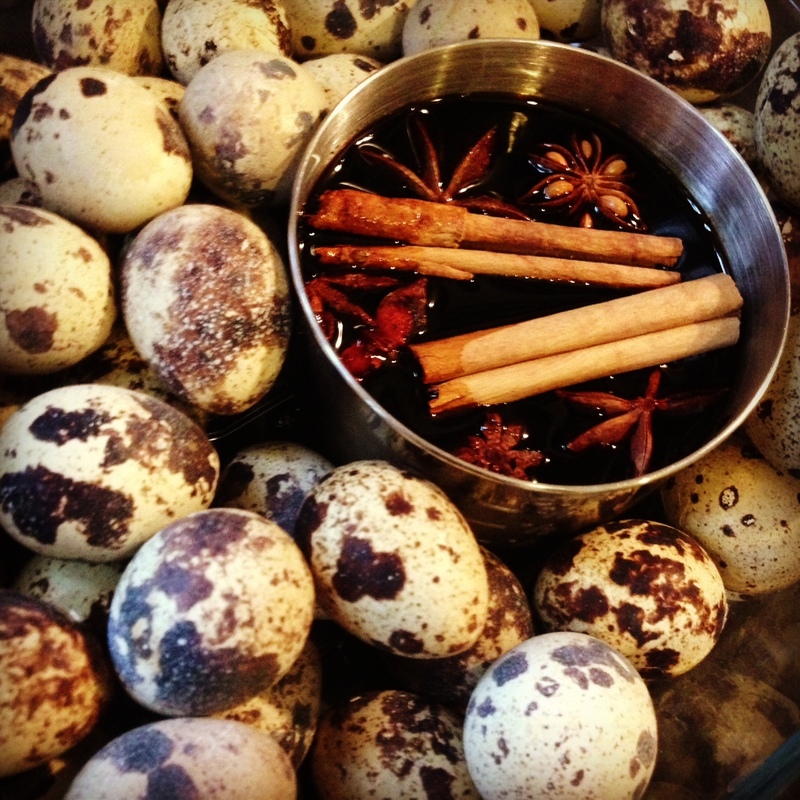 Below is a recipe for 6 chicken eggs or 18 quail eggs. Put a pot on the stove and start boiling the water. Wash your eggs and place them in to boil. 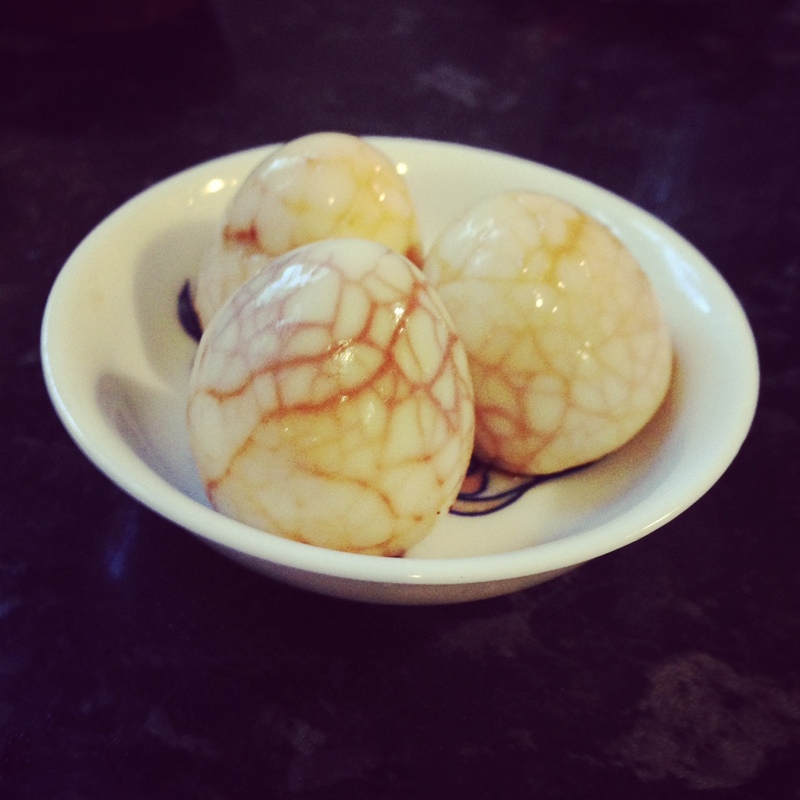 If using chicken eggs – boil for 8 mins; Quail eggs – 2 minutes. When they’re done, remove them with a slotted spoon and let them cool off until you can handle them. With the back of a metal spoon you want to gently bash the eggs all over, you don’t want to pierce the membrane just beneath the shell though, so don’t get too carried away. I think smaller cracks are prettier. While you’re doing this add the soy sauce and all the other ingredients to the pot of just boiled water and bring it all to a boil again. Simmer the tea leaves for 5 minutes. Now add your pre-cracked eggs and turn the heat off. Remove the pot from the heat source and let it cool to room temperature. Once cooled, decant everything into a large enough sealable container and steep them in the fridge for at least 8 hours. The longer you leave them. The better they taste.